Marshall, Gerstein & Borun LLP is pleased to co-sponsor Women in Bio-Chicago’s inaugural “Start-up Challenge," which will be held on Wednesday, September 30, 2015, from 5:30–8:00 p.m. at MATTER in Chicago, IL. For more information, click here. 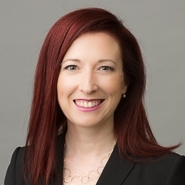 During this event, moderated by partner and chair of Marshall Gerstein’s Biotechnology practice Heather R. Kissling, finalists from women-led Illinois biotech companies will deliver a short presentation about their company, technology, and products. Local experts in the investment and startup incubator community will provide feedback and select the winning presentation for a cash award. Women In Bio (WIB) is a national non-profit organization of professionals committed to fostering and encouraging entrepreneurship and career development of women active in the life sciences industry.